The BSC Mobile Sales allows to conduct your sales transactions at the palm of your hand. The salesperson can add Sales Order and Invoices based on the customer sales history and check Inventory levels. They can also perform Price Checks. Specific Routes can be preloaded in the truck to create new invoices or edit existing ones. You can use a wireless printer to print a copy of the Invoice. Our software works in Online/Offline mode. We require Windows Mobile or CE device with a built in scanner. Daily Data download and Upload is necessary unless you are working with a device with WLAN capabilities. BSC Mobile Sales comes with our own BSC Food Distribution Accounting System. However it can be integrated to other popular applications. We can modify the system to your needs and provide the source code. 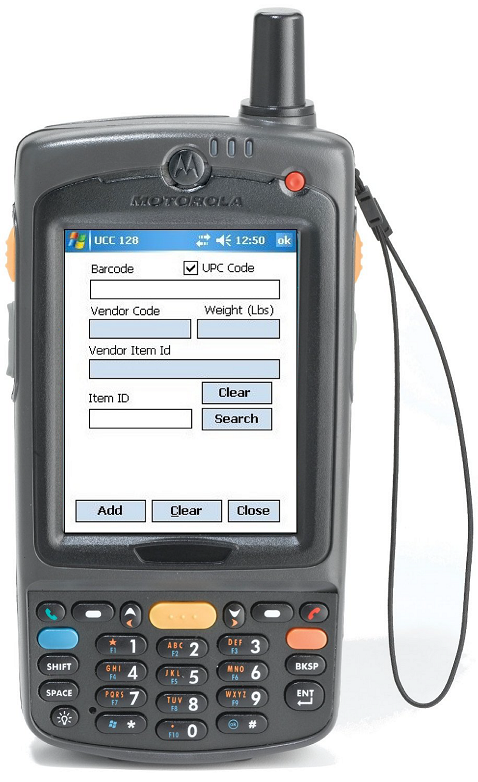 We are Motorola authorized resellers. Download the BSC Mobile Sales brochure.